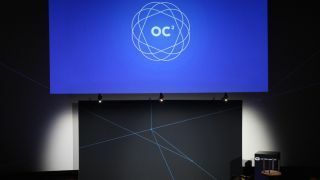 Oculus Connect 2, the VR-focused conference, is well underway, and the keynote live stream kicks off on September 24 at 10:00am PDT, 1:00pm EST and 6:00pm BST. If you're not in sunny Los Angeles, Oculus says you can tune in with a Gear VR headset and live stream the keynote that way. There are some setup instructions, however. Download NextVR's app on your Samsung Galaxy Note 4 or Galaxy S6 if you have the second Innovator's Edition. Launch Oculus Home, select the Oculus Connect 2 icon then sit back and relax knowing you're avoiding the huge crowds of developers. CEO Brenden Iribe will start the keynotes followed by Chief Scientist Michael Abrash with Oculus CTO John Carmack ending the major talks by discussing mobile VR. Both Iribe and Abrash will reveal new information about the Oculus Rift, Oculus Touch and Samsung Gear VR headsets. We're hoping a firmer release date other than "early 2016" (and "later in 2016" for Touch) plus pricing will be revealed for the Rift and its controllers.